Lisa, our tasting attendant, was very nice and knowledgeable about the wines. I bought a bottle of the blackberry wine. So tasty! 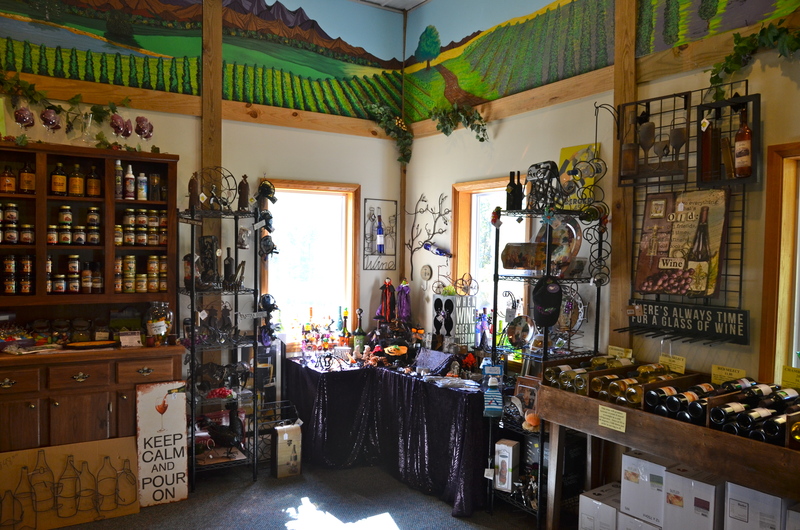 It’s such a homey and cute shop with unique “all things wine” gifts and a beautiful mural painted on the wall. We were the only people there when we arrived around 1:30pm. This is a view from sitting on the outdoor patio looking at the small pond. It was very peaceful and relaxing and the day was beautiful! 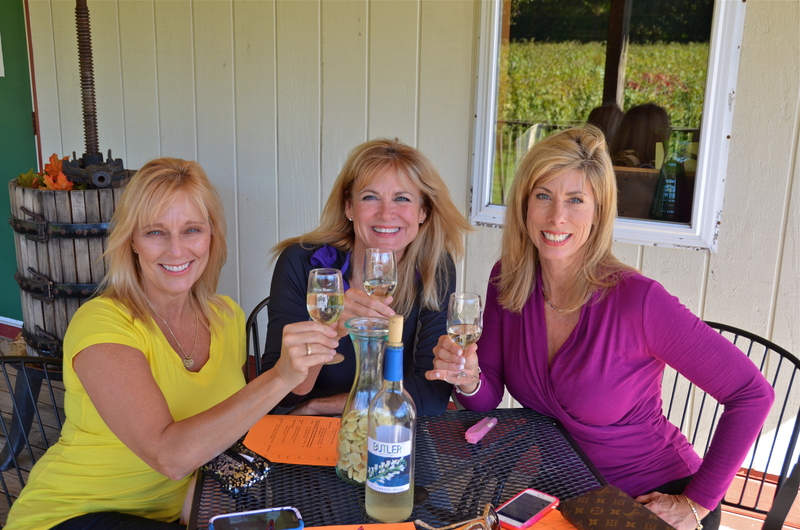 What better way to unwind than sipping a glass of wine, breathing in the fresh country air, and socializing with friends! What a unique little place! I guess the hassle of getting there was worth it! It was cute! Actually, we had trouble finding almost everything that weekend. It’s normally not like that. Thanks for stopping by! Sighhhh – I have made a rash promise to a doctor to go alcohol free for six weeks ………. It looks as if you and your friends are having a wonderful time. Good company and good wine. What a great combination. I should try that. The longest I’ve gone is about 10 days. There’s always a party or function to go to. Hope it goes quickly! Yep – so do I. I live in party central 🙂 I plan to have my first drink at our upcoming Melbourne Cup function (first Tue in Nov). I’ll probably be off my face by the second race. You are making me miss my girlfriends up north so much. They used to call me the cruise director, because I was always the one planning the girls weekends. So fun to follow you and your friends. Girlfriends are so important in life! So you’re the planner…as you know although it’s fun, it can be quite time consuming. Thanks for following along! Oh Sherry….these pictures are just absolutely gorgeous! I love the picture of you & your 2 girlfriends…..so beautiful! 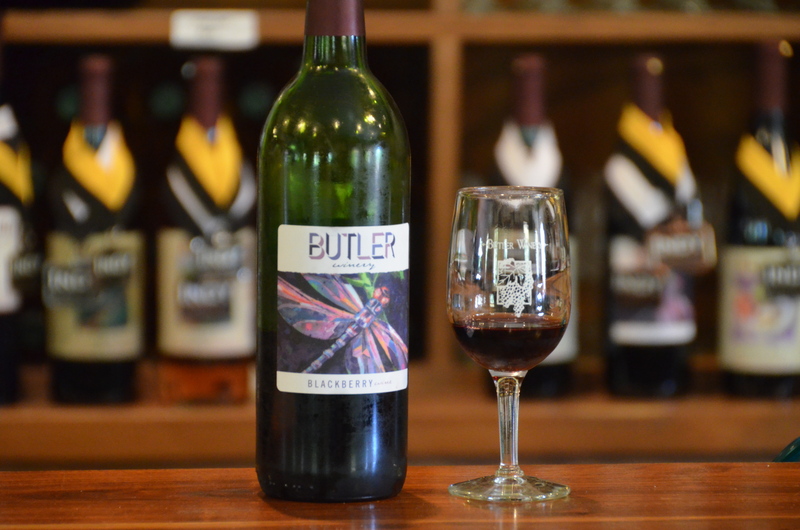 The Blackberry wine sounds so delicious. Thanks for taking us on the tour with you. Do you have any unattractive friends? What a great way to start the trip! I think my choice would have been blackberry too. Thanks Anneli…great minds think alike! What a great weekend for you. So much fun! You and your girlfriends look that you could have been sisters … *smile … very attractive ladies. And winery visit is perfect for a girly weekend, we have some wineries in my county, but not in a big scale, but their sparkling is doing very well, something I have to put on my bucket list to visit Åkesson’s winery. They say … less alcohol and more taste.